Successfully Added Anti-Surveillance Camera Detector - Long Distance Range to your Shopping Cart. Exposing Hidden Camera, Bug, Cellular phone, etc. can detect the micro wave of 2.4GHZ wireless camera up to about 20 feet, superior to other high priced detectorswhich can detect 2.4 GHZ micro wave in only few inches distance. 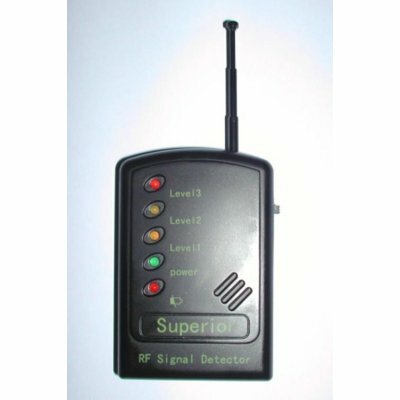 The product is not only in detecting the micro wave, but also perform the same superior ability in detecting other bands. It discovers the hearing bug and cellular phone at further distance. Please check with your country's customs whether this device can be legally imported to country, prior to placing your order.